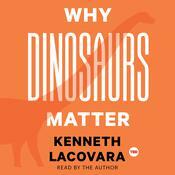 World-renowned paleontologist Kenneth Lacovara reveals how understanding dinosaurs can help us better understand our own biology—and our future.Dinosaurs captivate people. Men and women, young and old, have a deep fascination with the species that roamed Earth before us. 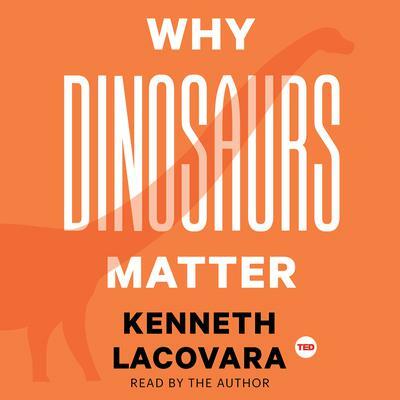 In this book, paleontologist Dr. Kenneth Lacovara takes readers on a journey––back to when dinosaurs roamed the Earth––to reveal how dinosaurs achieved feats unparalleled by any other group of animals. Lacovara shows why these sublimely adaptable, remarkable creatures deserve our awe and respect. Lacovara blends exploration in remote locations across the globe with the latest imaging and modeling techniques from engineering to medicine. This eye-opening look into the strange and calamitous event that wiped out the dinosaurs weaves together the story of their existence on Earth with our own. Why Dinosaurs Matter is compelling and engaging, and a great reminder that our place on this planet is precarious and potentially fleeting. We must look to the past to protect our future. Dinosaurs captivate people. Men and women, young and old, have a deep fascination with the species that roamed Earth before us. In this book, paleontologist Dr. Kenneth Lacovara takes readers on a journey––back to when dinosaurs roamed the Earth––to reveal how dinosaurs achieved feats unparalleled by any other group of animals. Lacovara shows why these sublimely adaptable, remarkable creatures deserve our awe and respect. Lacovara blends exploration in remote locations across the globe with the latest imaging and modeling techniques from engineering to medicine. This eye-opening look into the strange and calamitous event that wiped out the dinosaurs weaves together the story of their existence on Earth with our own. Why Dinosaurs Matter is compelling and engaging, and a great reminder that our place on this planet is precarious and potentially fleeting. We must look to the past to protect our future.